Cleaning the gutters is not a chore many homeowners look forward to completing. While it is an unpleasant and tricky task, there are many reasons why you should add it to your list of things to do this fall. 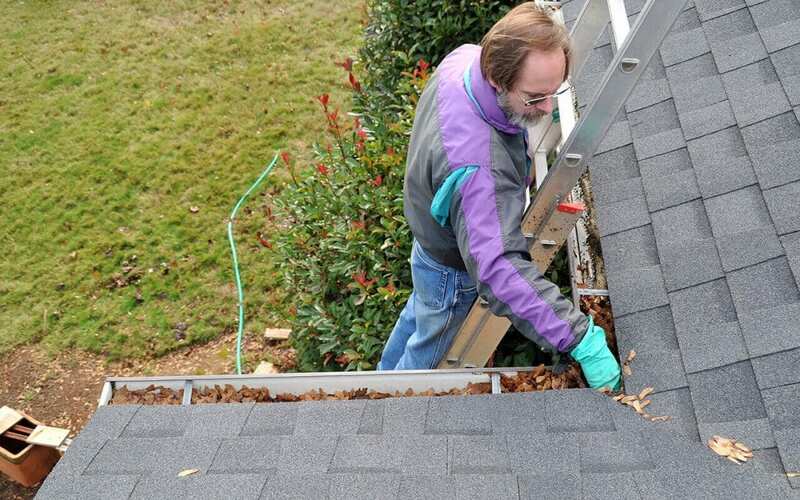 Here are three important reasons why you should clean your gutters during the fall. As the weather turns cooler and crisper, the leaves will begin changing colors and dropping from trees. Much of this debris will inevitably end up in your gutters. When conditions are dry, the leaves in your gutters won’t be an issue, but the potential for problems exists once the rain hits. If your home’s gutters are clogged up with fall leaves, the rainwater won’t be able to run through the gutters and out the downspouts. When the water can’t drain out, it will start to overflow and could cause expensive damage to your siding, foundation, walls, and basement. Also, the water and debris will collect and become stagnant if you don’t clean your gutters. This can cause the gutters to erode and eventually lead to holes, leaks, and sagging from the extra weight. At this point, fixing the problem won’t be easy. You may end up having to replace your gutters completely. Even after fall is over, the impact of the leaves in your gutters doesn’t end. If leaves remain in your gutters when winter arrives, any debris and water remaining may freeze and become trapped in your gutters. If you don’t clean your gutters out at this point, the frozen water can begin to impact the roof and cause water damage. As the debris in your gutter builds up and freezes, it weighs down the gutters and the extra load can cause them to sag and loosen the prongs that attach the gutters to your house. If this happens, your gutters might detach and fall off completely. Maintaining your gutters reduces strain and helps them work properly to divert water from your home. Since replacing them will not be cheap, investing some time to make sure they are clean is worthwhile in the long run. Regular gutter maintenance is important regardless of the climate you live in, but the weather in your area will determine how frequently you should clean your gutters. If you notice that your gutters are not filling up with debris very frequently, you may only need to clean your gutters during fall. But, if you notice a lot of debris clogging up the works, you might want to do a thorough gutter cleaning each season. Additionally, if you’re on a wooded lot or surrounded by pine trees or trees that will shed blossoms in the spring, you may need to clean your gutters even more frequently. Although the thought of cleaning your gutters may be daunting, it’s important for their effectiveness and longevity. While you may need to clean your gutters more often, if you’re short on time, fall is the most effective time to do so. You’ll be grateful they’re ready and prepared for winter! R. Sorensen Construction & Inspections provides home inspection services for Eastern Oregon. Contact us to schedule an appointment.